The very first Malay Regiment was not the regiment that was formed in Malaya in 1932 (later to become the modern-day Royal Malay Regiment). The British recruited local Malays in their wars with the kings of Ceylon and in 1801, these troops were formally admitted into the service of King George III as a regular British regiment of infantry on the line and called the Malay Regiment. 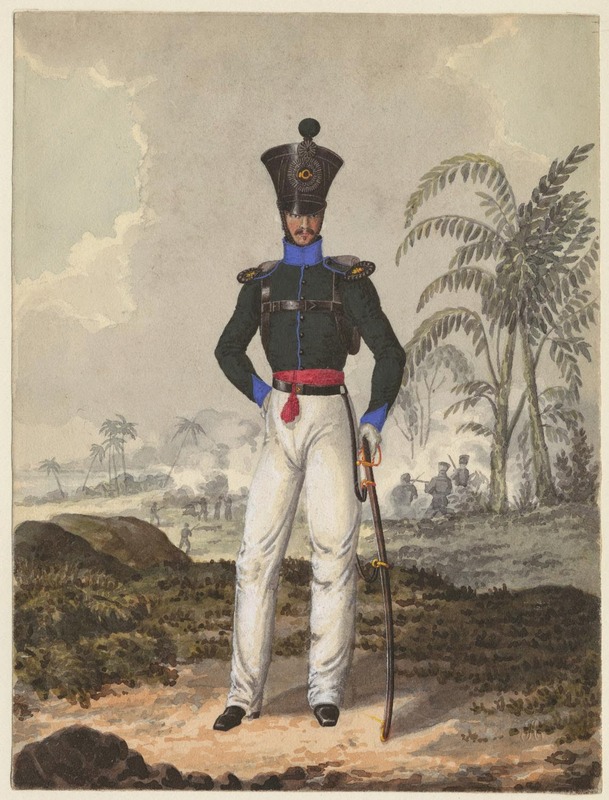 In 1803, the Malay Regiment was defending a British garrison against the forces of the King of Kandy. The garrison was surrounded and finally surrendered to the Ceylonese after a bloody siege. Below is an account from James Cordiner's "Description of Ceylon" (1807) of what happened after and the loyalty of the Regiment's Malay Captain. Major Davie, unable effectually to resist the Kandyans, proposed an armistice, and a truce was agreed to, on condition that he should at once abandon Kandy, with all its military stores, to the Adigar, whilst the British troops, should march to Trincomalee. During this and the previous transactions, we cannot ascribe too much praise to the noble conduct of Captain Noordeen, the native commander of the troops of the Malay Regiment. Tempted with the most flattering offers by the native princes in the opposite army, he still maintained his integrity and declined them, and has left a noble instance of the faithfulness and fidelity of his nation. Every thing was agreed to — Major Davie and his officers were separated from the troops. However,the latter were marched into a narrow defile, then taken out two by two, and, in cold blood, massacred by the Kandyans, each successive pair being led to a distance from the larger company, and then murdered. The entire body of helpless sick left in the garrison hospital soon after shared the same fate.